​“In less than a month and half, I already saw results even if I was told to wait three to four months before I can see a difference. The effects on me were much faster. There were fewer strands on my white towel, which basically was within the normal boundaries of hair loss for an average person. Before using NOVUHAIR, I used to shed more.” This is due to the fact that NOVUHAIR penetrates deep to help rejuvenate, nourish, & maintain moisture in the scalp and hair. 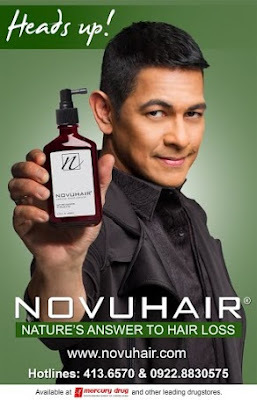 By improving the blood circulation in the scalp, NOVUHAIR helps stimulate hair growth and aid in preventing further, excessive hair fall, while also improving the overall appearance of the hair.